Egbert started playing the piano at age 15. At 18 he was admitted to the Maastricht Conservatory. There he studied with Irvin Rochlin, Frank Giebels, and Louise Wolfs. In 1994 he graduated for his teachingdegree in Jazzpiano. In 1995 he received his diploma for “Jazzperfomance”. Egbert also studied with David Berkman and Steve Kuhn in New York. Derix collaborates with a lot of different musicians. Including the British singer-songwriter Iain Matthews, John Helliwell (Supertramp), Eric Vloeimans, Ton Engels , Steve Hogarth (Marillion), Leo Janssen (Metropole Orchestra) , Renée van Wegberg and Fish. In 2002 Egbert received the prize for ‘Best Original Composition’ at the North Sea Jazz Festival for his composition ‘She isn’t like you’. That same year Derix’ Searing Quartet was rewarded with the first ‘Jerry van Rooyen Award’. In 2012 he received, along with Gerard van Maasakkers, the ‘Annie M.G. Schmidt prize’ for best theatrical song, for their song ‘Zomaar onverwacht’. Egbert played at the North Sea Jazz Festival and gives concerts in Europe and the United States. He has also released several albums with mostly originals. In 2015 his book “De Muze brengt mij” was published. A collection of stories in which music is the common thread. In February 2017 Derix’ songcycle ‘Wandern’ was recorded at the Concertgebouw Amsterdam with baritone Sef Thissen. 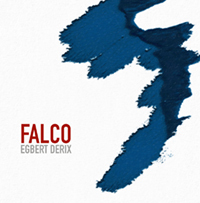 ‘Falco’ is Egbert Derix’ solo piano album. Egbert composes and plays the soundtrack for the documentary ‘Nao’ t Zuuje ‘. A film by Rob Hodselmans, Lex Uiting and Pieter Kuijpers. ‘Nao’ t Zuuje ‘plays in Dutch cinemas and is broadcasted on TV by BNN / VARA. In this year there are also special performances of the songcycle ‘Wandern’. Together with Sef Thissen and the Wiener Kammersymphonie, he performs the songcycle at the Richard Strauss Villa in Vienna, at the invitation of the Dutch embassy. Egbert arranges a number of songs from ‘Wandern’ for the Wiener Kammersymphonie. Together with this ensemble they also play in the Concertgebouw in Amsterdam for the radio program ‘Spiegelzaal’. The song ‘Falkner’ is part of the Viva Classic Live concerts in Venlo and is broadcasted on TV by AVRO-TROS. Baritone Sef Thissen, Egbert Derix and trumpet player Eric Vloeimans perform ‘Wandern’ in theater De Maaspoort in Venlo. This year the ‘Favorite Songs’ tour starts with singer Margriet Sjoerdsma. They play their favorite songs of Billy Joel, Tracy Chapman, Madonna, Mr. Mister, Michael Sembello, Leonard Cohen, Michaell Jackson, Tom Waits and more. Supplemented with own work. A CD of this project is released. The farewell album of Fish is called ‘Weltschmerz’. Egbert arranges the strings for the EP which is the prelude to the release of ‘Weltschmerz’. Together with Jack Poels (Rowwen Hèze) Derix writes the song ‘Hub & Hay’ on the occasion of the fact that the town Horst aan de Maas (Netherlands) celebrates its 800th anniversary in 2019. Accordion player Tren van Enckevort produces the songs and also play on the track. 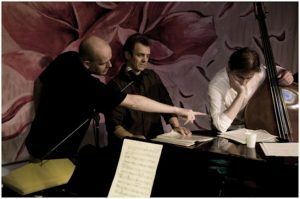 Furthermore, Egbert plays a number of solo piano concerts, duo concerts with Eric Vloeimans, a performance with rapper Daan Rijkers (Dada) and is a guest at the ‘Songs of Leonard Cohen’ concerts by Bert van den Bergh. This year is the year of ‘Wandern’, Egbert’s classical songcycle in German. ‘Wandern’ is based on the poetry of his father, Jan Derix (1936-2009). Egbert translates his father’s poems into German and also adds a couple of new original poems. 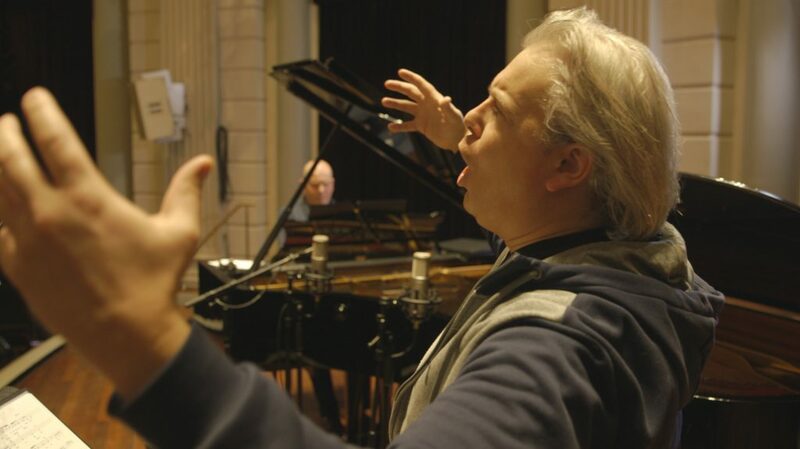 The songcycle is composed for piano and voice and the complete cycle is recorded at the Amsterdam Concertgebouw in February together with baritone Sef Thissen for a cd-book. The release is followed by a Dutch concerttour. Filmmaker Ruud Lenssen makes a documentary about the making of ‘Wandern’ called ‘Wandern, dichter bij vader’. The documentary has its prémière in April. This year there are a couple of solo piano concerts and also concerts with Eric Vloeimans, Leo Janssen, poet Herman Verweij , singers Baer Traa, Bert van den Bergh & Leta Bell and pianist Mike Roelofs. Egbert releases his double piano solo album ‘Falco’ in the summer. The album is dedicated to the memory of Austrian poet Hans Hölzl (1957-1998) who gained worldwide fame with pophits like ‘Der Kommissar’ and ‘Rock me Amadeus’ under his alias ‘Falco’. The album is a mixture of new compositions , older work, on the spot improvisations and Egbert’s interpretation of the Falco classic ‘Rock me Amadeus’. There’s also an on the spot improvisation dedicated to the late Paul Bley who died in January this year. The album is very well received and gets great reviews. In September Egbert arranges the strings for the new album of Nepalese guitarplayer Hari Maharjan. Derix also plays Fender Rhodes on the album and is joined by Sjoerd Rutten on drums and bassplayer Peter Keijsers who also produces the album, together with Martijn Alsters. In April Egbert is invited to play a set of solo piano in Siegburg at the 20th anniversary party of The Web Germany, the German Marillion fanclub. He is joined on stage by singer Martin Jakubski, frontman of the Scottisch Marillion tribute band ‘StillMarillion’ to perform the Marillion song ‘Waiting to happen’. Derix, together with arranger Mark Pütz, composes the music for the event ‘Enchanted Gardens’ in Kasteeltuinen Arcen (The Netherlands). 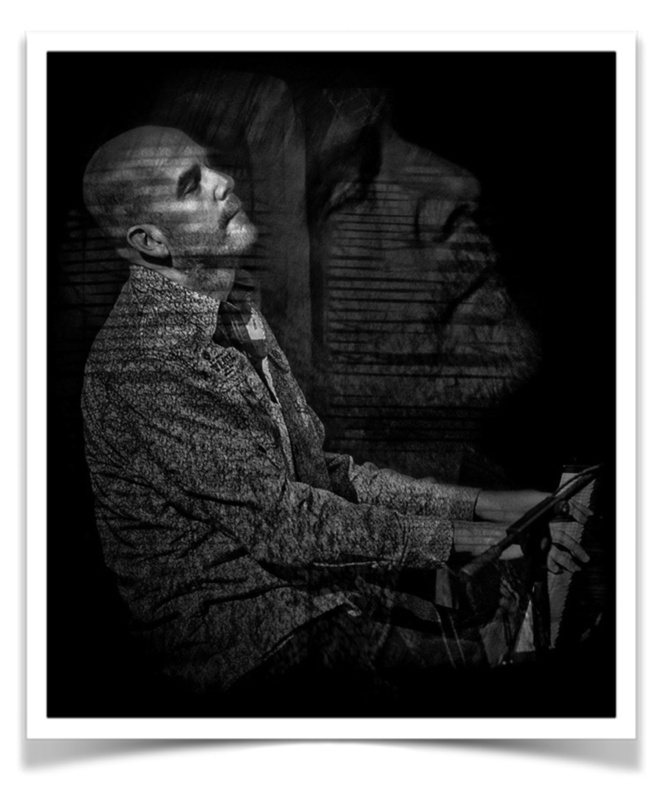 In december there are two duo piano concerts with pianist Mike Roelofs at Cambrinus Café in Horst (NL). This year is also the year for the first stages of ‘Wandern’, Egbert’s classical songcycle in German. ‘Wandern’ is based on the poetry of his father, Jan Derix (1936-2009). Egbert translates his father’s poems into German and also adds a couple of new original poems. The songcycle is composed for piano and voice and Derix will record the complete cycle at the Amsterdam Concertgebouw early 2017 together with singer Sef Thissen. This year there are also concerts with singer Baer Traa, poet Herman Verweij, saxplayer Leo Janssen, Iain Matthews and Sef Thissen. Following the release of their albums ‘Joy Mining’ and ‘In The Now’ on the American label Omnivore Recordings Iain Matthews & Egbert Derix tour California in January . In the summer they play concerts in Scotland, Wales and England. 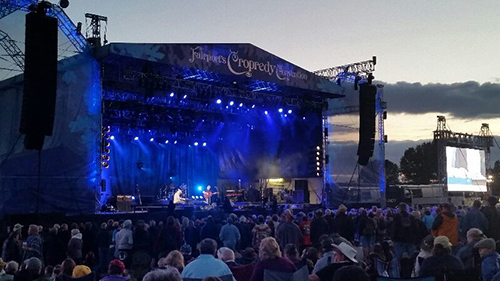 In August they are one of the headliners at the Cropredy festival. Along with Fairport Convention, Level 42, Fish and Paul Carrack. In October there are a number of concerts in Germany. In Norderstedt they play together with Krista Detor. 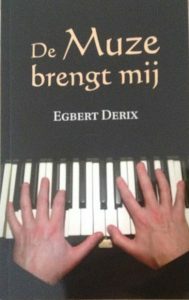 In March Egbert’s book ‘De Muze brengt mij’ (‘The Muse takes me’) is published by Boekscout. Egbert arranges the strings for Frans Pollux’ album ‘Neet vergaete the Bloome water gaeve. The album also has a song on it written by Pollux and Derix. On the occasion of an exhibition and TV documentary about the work of the Maastricht painter Willy Gorissen Derix writes music to a poem by Frans Budé which was inspired by the work of Gorissen. The song ‘Lied van de twee bomen’ is performed by singer Baer Traa and Egbert Derix. The project ‘How Far’ by Belgian artist Goddy Haerden along with saxophonist Leo Janssen and Egbert Derix has its premiere in November at Artsquare in Amsterdam. ‘How Far’ includes a photo exhibition, poetry and music which are also available as a book form and on Cd. In March Egbert’s book ‘De Muze brengt mij’ (‘The Muse takes me’) is published by Boekscout. Verder zijn er dit jaar concerten met Eric Vloeimans, Renée van Wegberg, Herman Verweij, Frans Pollux, Emil Szarkowicz, Noor Roelofs, Maurice Hermans, Koninklijke Harmonie Horst en Angeli. The Iain Matthews & Egbert Derix albums ‘Joy Mining’ & ‘In the Now’ are released in the US by the Grammy Award winning label Omnivore Recordings. In 2015 Iain and Egbert will tour California to promote these releases. In April Maurice Hermans & Egbert Derix release their album ‘In a Mellow Toon’. Maurice is the son of legendary Dutch artist and performer Toon Hermans. Maurice and Egbert also play theatres in The Netherlands with their program ‘Rondom Toon’, in which poetry and songs by Maurice and Toon, and music by Egbert, is featured. The album ‘The Sadness of Beauty’ by flutist Georges van de Ven and Egbert is released in July. ‘The Sadness of beauty’ contains compositions by Sir Malcolm Arnold, Astor Piazzolla, Franz Schubert, Glenn Corneille, Claude Bolling en Egbert Derix. 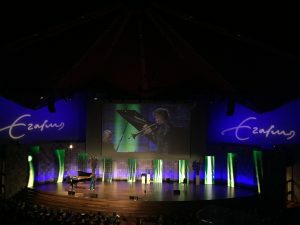 Egbert also performs with Renée van Wegberg, Leo Janssen, Eric Vloeimans, Herman Verweij, Frans Pollux, Gerard van Maasakkers and Philharmonie Zuid, and in March Searing Quartet play a reünion concert. Following the UK release of their album In the Now Iain Matthews& Egbert Derix play a two week concerttour in the UK in March. There is also a documentary about the making of In the Now made by director Peter Young and Olivier Hamaker. 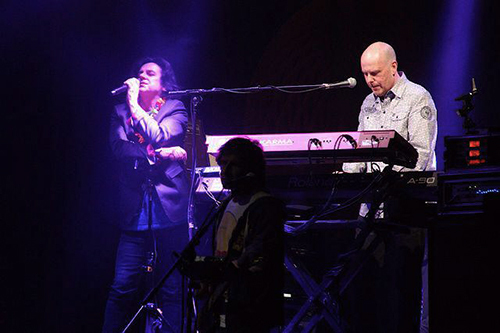 During the Marillion Weekend in Port Zélande , early March , Egbert plays as guest with Marillion . The reason for the invitation for this Swap the Band is the release of Derix first solo album , Paintings in Minor Lila , based around Marillion music. Besides Fish and Marillion singer Steve Hogarth , the saxophonists John Helliwell ( Supertramp ) and Leo Janssen ( Metropole Orchestra ) , and Iain Matthews also contributed to this album . At the request of Fish Egbert takes care of the string arrangements for the new Fish album A Feast of Consequences . The album is released in September. The last solo album by Iain Matthews , The Art of Obscurity , contains eight new Matthews / Derix songs. The Art of Obscurity will be released in early 2014 in both the UK and the U.S. . In November, the Helliwell – Derix Quartet plays, for the third consecutive year, a series of concerts in the Netherlands and Belgium . 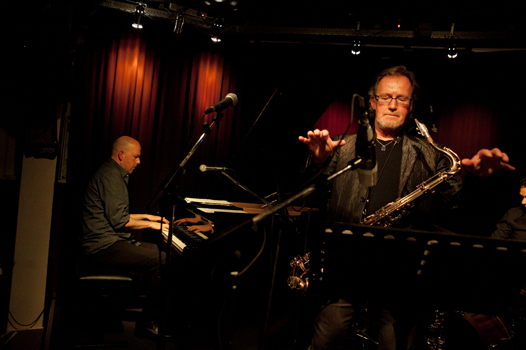 Besides Supertramp saxophonist John Helliwell and Egbert , the band also holds Norbert Leurs ( bass) , Sjoerd Rutten (drums ) , and singer Joosje Jochems . There are plans for a CD and a concerttour again in 2014. Egbert Derix & John Helliwell, photo: Wouter Schenk. The collaboration with poet Herman Verweij resulted in a number of appearances this year, containing a combination of poetry and music. 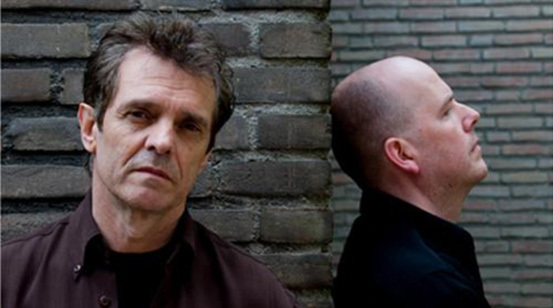 In the Nijhoff Anders project two poems by Dutch poet Martinus Nijhoff were put to music by Mike Roelofs & Egbert Derix and performed together with Noor Roelofs & Herman Verweij . In June, the Big Band of the Royal Northern Conservatory Manchester played a concert of Supertramp songs, with John Helliwell as the soloist , and an arrangement of The Logical Song by Egbert. In April Egbert and Gerard van Maasakkers receive the Annie M.G. Schmidt prize for the best theater song. They get the award for their song ‘Zomaar onverwacht’, a song with lyrics by Gerard van Maasakkers and music by Egbert Derix. 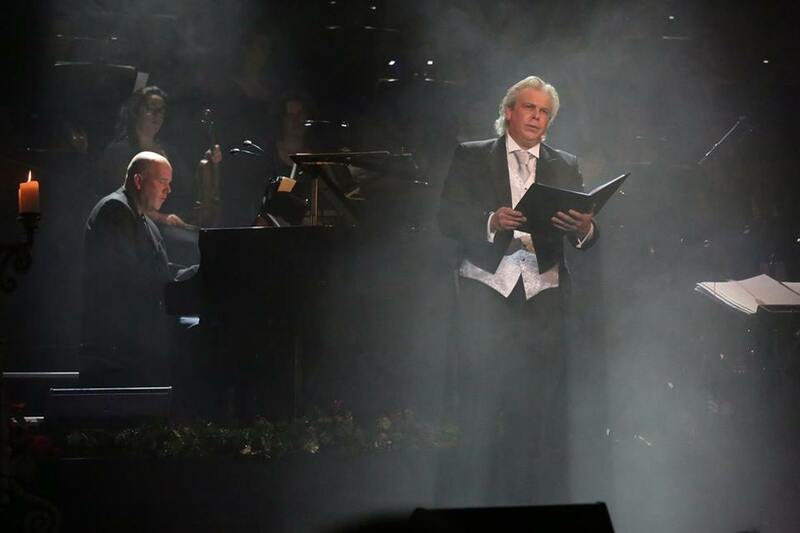 At the award ceremony on April 16th, in the Nieuwe De La Mar theater in Amsterdam, Gerard van Maasakkers performs the song with the Metropole Orchestra. Egbert arranges the song for the Nieuw Amsterdams Klarinet Kwartet. His arrangement is performed at the Grachtenfestival and in the Concertgebouw in Amsterdam by the Nieuw Amsterdams Klarinet Kwartet together with soprano Sterre Konijn. In September Derix ‘first solo album,’Paintings in Minor Lila’, is released. The album was triggered by Egbert’s passion for the music of Marillion. 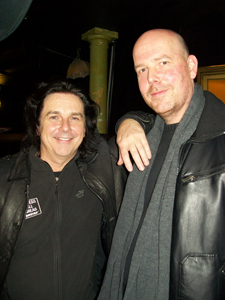 Both Marillion singers, Fish and Steve Hogarth contribute to the album. Iain Matthews, Sjoerd Rutten, Leo Janssen, Norbert Leurs, the Limburg String Quartet, and Supertramp saxophonist John Helliwell can also be heard on ‘Paintings in Minor Lila’. The album is produced by Arno den Camp and Egbert Derix. The cd is cause for an item in the annual Top 2000 Journaal of Dutch Radio 2. Also in the new Marillion biography, ‘Separated out, Redux’, by Jon Collins, there is mentioning of Egbert’s solo album. In November there are five concerts in the Netherlands by Supertramp saxophonist John Helliwell with the Egbert Derix quartet, with guest singer Joosje Jochems. 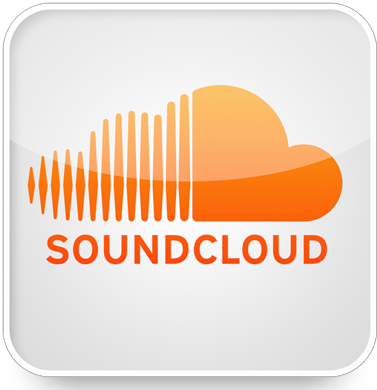 The concert at the Beauforhuis in Austerlitz is recorded and broadcasted by Dutch Vpro radio. This year Derix again plays concerts with Iain Matthews in the Netherlands, UK and Germany. 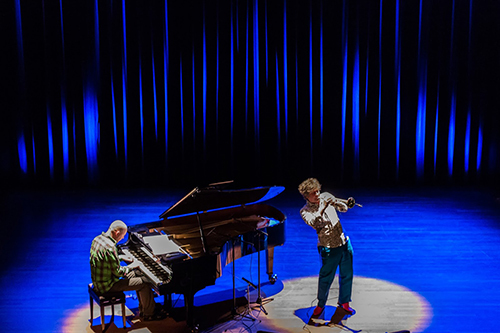 There is also a duo concert with trumpeter Eric Vloeimans in Cambrinus in Horst (NL). Cooperation with Vloeimans will be followed up in 2013. Iain Matthews and Egbert Derix sign a recorddeal with Universal Music for the release of their new album ‘In the Now’. The album will be released on the VERVE label in March 2012. 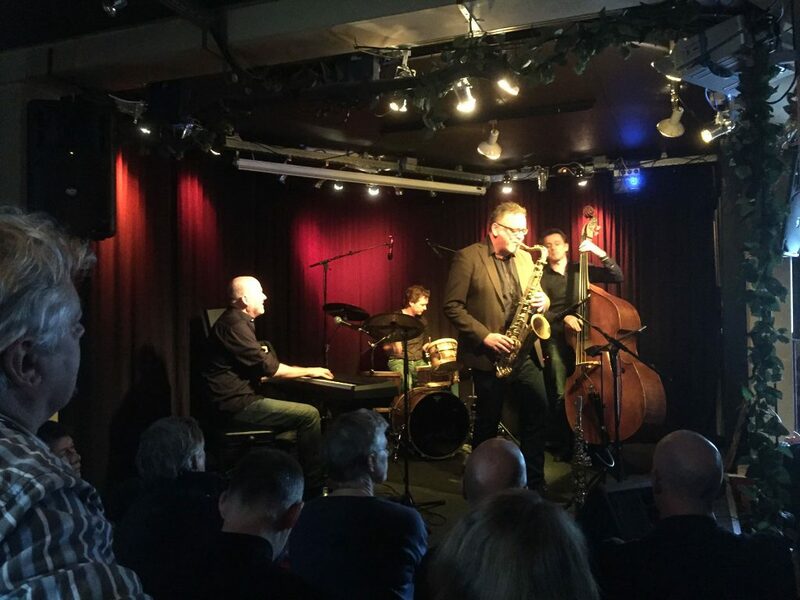 ‘In the Now’ features drummer Jasper van Hulten, guitarist Ton Engels, Norbert Leurs on acoustic bass, saxplayer Leo Janssen, and the Limburgs Strijkkwartet. Lyrics: Iain Matthews, music : Egbert Derix. The album is produced by Léon Bartels and Arno op den Camp also does some recording. Release of the live cd ‘Angeli in Cambrinus’ , and album with sax- &clarinetplayer Leo Janssen (Metropole Orchestra). Also a year of very inspiring musical collaborations and concerts with, amongst others, singers Renée van Wegberg & Sue van Rens, Fay Lovsky, and Supertramp saxplayer John Helliwell. The new Gerard van Maasakkers cd and theatershow ‘Lijflied’ features a song by Egbert & Gerard: ‘Zomaar onverwacht’. Egbert plays a solo piano concert at the Cambrinus stage, playing the former concertgrand of the Blue Note Club in New York. The same piano he plays on ‘In the Now’. Thanks to piano technician Jan Huijbers. Miho Hazama, a student of the Manhattan School of Music, arranges Derix’ composition ‘Exit Ego’, which is performed by the Metropole Orchestra conducted by Vince Mendoza. Derix starts to record his upcoming solo album which will feature interpretations of the music of Marillion. A long time passion. Steve Hogarth contributes to one of the songs. 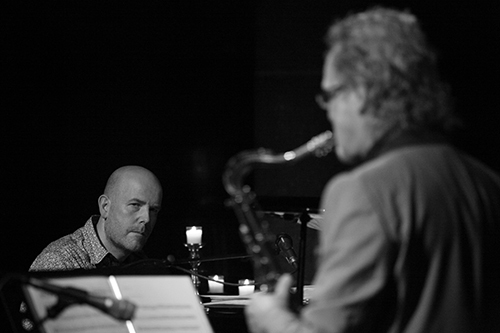 In March the Iain Matthews-Egbert Derix cd/dvd ‘Afterwords’ is released. Followed by concerts in The Netherlands, Belgium, Germany, Denmark, and the U.K. The Searing Quartet play a few concert to celebrate their 15 year jubilee. In November the duo album ‘Angeli in Cambrinus’ is released. A live registration with saxplayer/clarinettist Leo Janssen. Iain Matthews& Searing Quartet appear on the Dutch tv-show ‘Vrije Geluiden’. The impact is enormous: ‘Joy Mining’ is sold out within a week. The album is also released on the UK label Fledg’ling. Iain, Egbert, Eric Vloeimans, Mike Roelofs, and Bart Oostindie play a benefit-concert for the Beauforthuis in Austerlitz. Derix receives a composition assignment from the Schunck* Glaspaleis in Heerlen (Netherlands). His composition ‘Jirayu’ , inspired by the life and works of Thai artist Jirayu Rengjaras, is performed in August in Heerlen by the Searing Quartet. 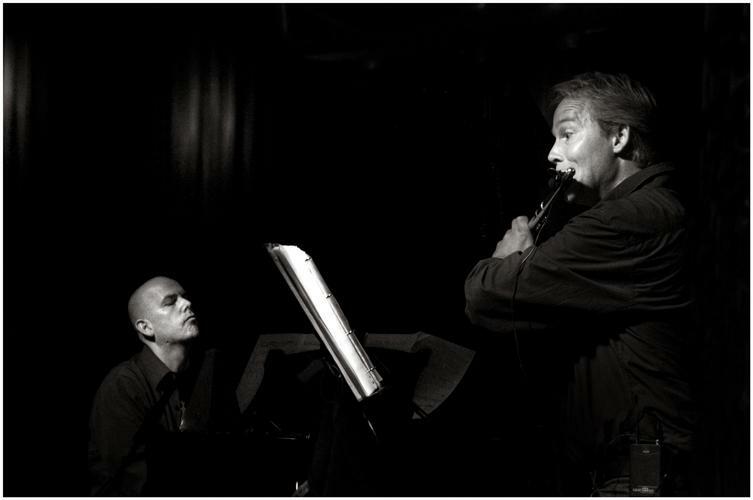 Apart from working with Iain Matthews, Egbert also performs with saxplayer/clarinettist Leo Janssen (Metropole Orchestra), flutist Georges van de Ven, singer-songwriter Sue van Rens, and singer Renée van Wegberg. In this year singer-songwriter Iain Matthews from the U.K. and Egbert Derix renew their musical friendship and start writing songs together for the Iain Matthews & Searing Quartet album ‘Joy Mining ‘. ‘Joy Mining’ is released on the Matrix label and produced by Léon Bartels. In January the cd ‘You’ll find me’ is released. The cd features songs by singer Renée van Wegberg and Egbert Derix. The fourth cd by the Searing Quartet, ‘Licence to Extend’, is released in Octobre. ‘Licence to Extend’ contains compositions by Egbert and saxplayer Peter Hermesdorf. Egbert plays piano and Korg Polysix synthesizer on ‘Wies Merge’, a new cd by singer-songwriter and guitarist Ton Engels. In december ‘On Christmas Day’, a song by Renée van Wegberg and Egbert, is released as a single. In January Egbert plays a few concerts with the Lydia van Dam Quartet. In February the cd ‘In het Zuiden Opklaringen’ is released on Vulcano Records. The cd mostly features compositions by Egbert with Dutch lyrics by Ton Engels. The songs on ‘In het Zuiden Opklaringen’ are played by Ton Engels (vocals & guitar) , Egbert (piano, rhodes, melodica & keys), bassplayer Reyer Zwart and Arthur Lijten on drums. The cd is very well received by the Dutch press and they are invited to play on a couple of radio-shows (Vara, Tros, Ncrv, Vpro). There’s a video of the single ‘In de Kroeg’. In september ‘Starling Hill’ , performed by the Searing Quartet, is judged one of the best ten jazzcompositions at the annual Thelonious Monk Competition in Washington D.C.
On the new Blowbeat album ‘Songs from the Crazy Planet’, released in October, Egbert plays keyboards as a guestmusician on the track ‘Liverpool’. In March ‘Angeli’, a cd by Egbert Derix and clarinet- and saxplayer Leo Janssen (member of the Dutch Metropole Orchestra), is released. The cd-presentation concert is in June at the ‘Theater aan het Vrijthof’ in Maastricht, The Netherlands. ‘Angeli’ features compositions by Derix and Janssen and a co-composition by Glenn Corneille and Egbert Derix. In April and December Egbert, bassplayer Erik Robaard and drummer Jasper van Hulten play a few concerts with singer Lydia van Dam. On April 24th the Lydia van Dam Quartet plays at the Concertgebouw in Amsterdam. In December Egbert plays keyboards with Ton Engels & De Medeplichtigen (with singer/songwriter Ton Engels, guitarist Cor Mutsers, bassplayer Eric Coenen, and drummer Arthur Lijten). Journalist Remco Takken made a program about Egbert’s compositions for the Dutch Concertzender. The special features Egbert’s work played by the Searing Quartet, Digna, the Loet van der Lee Quintet, Leo Janssen, and the Corneille/Roelofs Trio. In september the third Searing Quartet cd, ‘Starling Hill’ , is released by Inbetweens Records. ‘Starling Hill’ contains compositions by saxplayer Peter Hermesdorf and Egbert Derix. The new Searing Quartet cd, Set Sail!, is released. 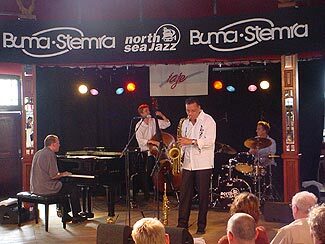 The Searing Quartet plays at the North Sea Jazz Festival in The Hague. Egbert plays keyboards in the Dutch theatretour of Iain Matthews. Bassplayer Eric Coenen, drummer Arthur Lijten, and singer/gitarist Ad Vanderveen are also in the band. After the tour a live-cd is released called ‘If you saw thro’ my eyes’. Egbert writes a composition (La Caverne) for the project Holland in Jazz, an initiative of trumpetplayer Loet van der Lee. The cd is presented in the BIM-huis in Amsterdam. Holland in jazz is released by Munich Records. On their cd And that s why (Munich Records), the Corneille/Roelofs trio plays a co-composition by pianist Glenn Corneille and Egbert, titled Astoria. 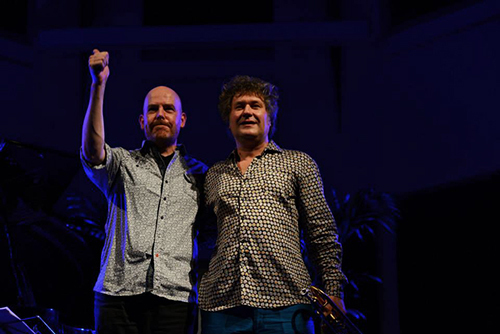 At the North Sea Jazz Festival in The Hague, Egbert receives the prize for Best Composition of the Dutch Jazz Competition. Egbert plays piano in the theaterproduction Lennon & McCartney (featuring singers Han van Eijk, Lisa Boray, Lydia van Dam, Herman van Doorn and arrangments by Glenn Corneille). The Searing Quartet receives the first Jerry van Rooyen Award at the Maastricht Jazztival. NYPD: New York Police Dudes!, one of the compositions on the Corneille/Roelofs cd Finally (Munich Records) is composed by Egbert. Egbert recieves an Honor Award from the American Songwriters Network for his composition “Exit Ego”. With Digna he plays the semifinals of the Dutch Jazz Competition and with the Searing Quartet he reaches the finals in the Diligentia theatre in The Hague. The Corneille/Roelofs trio plays some of Egbert’s compositions at the North Sea Jazz Festival. 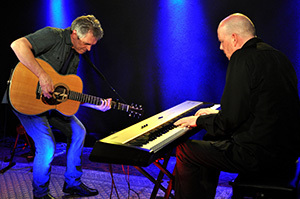 Egbert and pianist Glenn Corneille give a duo-concert at De Maaspoort in Venlo. “The Knickerbocker”, New York, April 2000. “Aquamagia” , Searing Quartets first cd is released. “Aquamagia” features Egbert’s and saxplayer Peter Hermesdorf’s compositions. The cd is produced by Christoph Erbstoesser and the music is played by Egbert (piano), Peter Hermesdorf (saxes), Werner Lauscher (bass), and Geert Roelofs (drums). 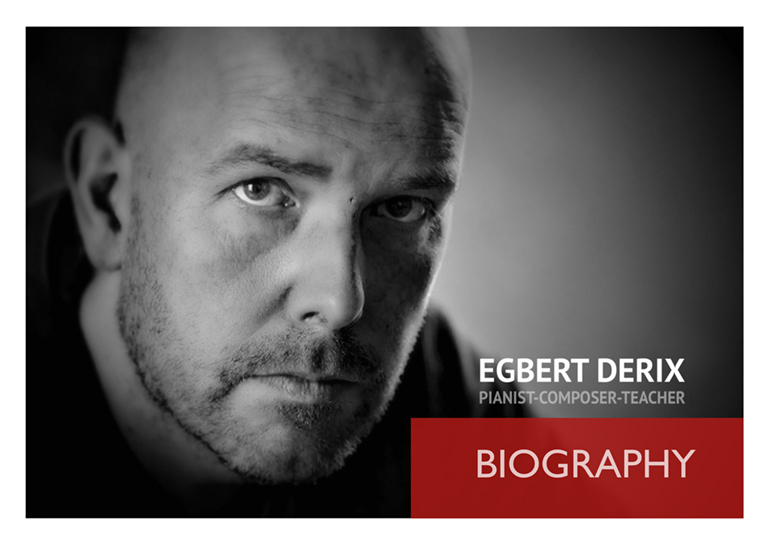 During 1999-2000 Egbert teaches piano at the Conservatory Maastricht. Digna wins the juryprize and “publieksprijs” at the International Jazz Competition in Breda. In november Digna and the Searing Quartet play a concerttour with the bigband of the Maastricht Conservatory, directed by Bill Holman. 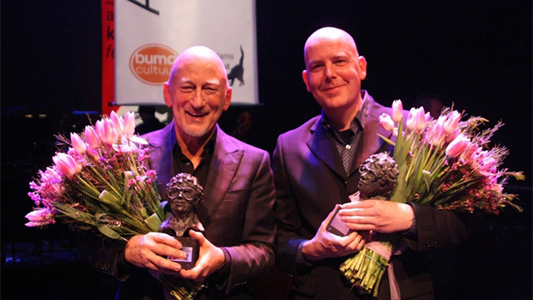 The Searing Quartet wins the “publieksprijs” at the International Jazz Competition in Breda. Egbert plays with singer Digna Janssen at the European Jazznight of the “Wereld Muziek Concours” in Kerkrade (with a.o. Jerry van Rooijen’s Dutch Jazz Orchestra, Denise Jannah, and Nueva Manteca). The newly formed Searing Quartet plays the finals of the “Dutch Conservatory Award” in Amsterdam. Searing Quartet also plays on the Dutch radioshow VPRO’s Jazz op vier with Aad Bos. Egbert plays with his trio at the Jazz Mecca Festival in Maastricht. Miles Davis, Branford Marsalis and Irakere are the headliners of the festival.